Sections 33 (1), S. 63 (1) and S. 139 (1) of the latest draft of the Petroleum Industry Bill (PIB) empowers the two regulatory agencies: the Upstream Petroleum Inspectorate (UPI) and the Downstream Petroleum Regulatory Agency (DPRA), including the National Petroleum Assets Management Corporation to receive gifts of money, or other property, from third parties. Should regulatory bodies accept gifts of money and property from the same entities they regulate? In its recently released policy briefing paper, Spaces for Change argues that such gift-giving may not only upset the pursuit of transparency and accountability urgently needed in the oil sector, but that gift cultures are also fraught with ambiguities and intrinsic susceptibility to corruption. (1) The Inspectorate/Agency/ Corporation may accept gifts of money or other property upon such terms and conditions as may be specified by the person or organisation making the gift provided such gifts are not inconsistent with the objectives and functions of the Agency under this Act. (1) Nothing in subsection (1) of this section or in this Act shall be construed to allow any member of the Board or staff of the Agency to accept gifts for their personal use. Outwardly, giving gifts appear harmless, as they are deeply rooted in cultural norms and familial ties across jurisdictions. In short, gifts are essential to nurturing and nourishing social relationships. (Godbout, The World of Gifts. Pg. 11). There is nothing intrinsically wrong with giving or receiving gifts or hospitality, as long as they are not bribes, are not intended to be bribes, and cannot be perceived as bribes. However, the PIB did not specify situations in which such gift-giving to the UPI, DPRA or the Corporation may be allowed. Beyond the fractional obligation on the giver to specify the terms and conditions, the Bill is silent on the criteria for conceptually understanding the logic of the gift. And again, the one-part obligation ostensibly heaps the onus of proving motive on the giver, while absolving the receiving agencies from a corresponding standard of accountability. Although the proviso to S. 33, 63 and 139 prohibits members and staff of the named agencies from accepting gifts for their personal use, the PIB overlooks the practical difficulty in distinguishing between gifts to the agency per se, and that of its officials, leaving the door open to the complex maneuvers, obligation and reciprocity inherent in gift-giving. Gift exchanges have historically been used to facilitate or cover up blatant graft, and more recently, have evolved into a frequent tool for bribery, tax evasion and money laundering. Consequently, many countries have been forced to draft new code of ethics for officials; overhaul gift regulations as part of their anti-corruption wars, and fix institutional loopholes that help mask gift-giving for illegal purposes. Whereas the Bill empowers regulatory agencies to receive gifts, the provisos to sections 33, 63 and 139, prohibit staff and agencies from receiving gifts for their personal use. S. 32 (2)(e) recognizes gifts as a source of funding for the Inspectorate and the DPRA. While the prohibition against receiving gifts for personal use is a proactive measure, the big question then is, “is a gift distinctly made to an agency capable of influencing its officials to perform acts that confer any undue advantage or benefits to the giver? From the standpoint of reasonableness, would a gift to the Inspectorate for instance, by a company bidding for an oil prospecting license be said to be free from any colourations of reciprocal exchange? Is there any probability that Inspectorate’s receipt of a gift by an entity it regulates may spur the relaxation of its regulatory oversight towards the giver’s environmental felonies? These questions, among numerous concerns, impel the need to lower the incentives for corruption, check abuse and require greater transparency in the gift-receiving mandate. Absent necessary controls, gifts may present an entry barrier to unscrupulous companies planning to obtain inefficient subsidies, monopoly benefits and regulatory laxness in the future. Dozens of state and senate hearings and investigations into the BP Deepwater Horizon Oil Spill lamented the unspeakable abuse laden in the gift culture which fostered the “close connection” that existed between the agency’s inspectors and oil and gas industry employees to the extent that the MMS became inseparable from its regulated entities. Consequently, this closeness – which the Washington Post described as “cozy ties to industry” – is alleged to have precipitated MMS’s lax efforts to oversee oil and gas production. The co-chairman of the National Commission on the BP Deepwater Horizon Oil Spill and Offshore Drilling also affirmed that the MMS was “overly susceptible to industry influence, certainly outgunned and possibly captured”. (Christopher Carrigan, Harvard University). Bids for the hosting of sporting events and other international competitions are another area beleaguered by gift-induced corruption. Massive allegations of graft which rocked the International Olympic Committee (IOC) in 1998, caused a major crisis, and spurred several internal and external enquiries. Chief among the cause of disagreements is the practice and function of giving and receiving gifts in the Olympic movement. A few examples highlight the potentials for fraud and undue advantages inherent in gift exchanges. In a well contrived plot to bring the winter games to Nagano, Yoshiaki Tsutsumi, president of the Japanese Olympic Committee, arranged a US$20 million “donation” to the Olympic museum in Lausanne, a pet project of Juan Antonio Samaranch, the president of the IOC. Equally blatant was the Beijing Olympic Bid Committee. It gifted the IOC museum a priceless national treasure, a 2200-year-old terracotta soldier from the Ch’in tomb. Irrespective of their precise approaches, serious bidding cities clearly conceived their gifts in terms of obligation, reciprocation, and self-interest. Is the obligation inherent in the gift really tantamount to corruption? The Special Bid Oversight Commission suggested so. (Douglas Booth, 1999). For the PIB to worth its salt, the government, the National Assembly who would soon commence intense legislative deliberations on this Bill must show glaring determination to raise the stakes against corruption in the oil sector. 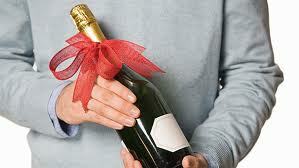 Should the National Assembly opt for partial prohibition, such arrangement must be backed by strict corporate communication procedures detailing how the public, including other oversight legislative mechanisms can independently access, track gifts offered and accepted by officials of those agencies from receiving gifts, but also by clearly specifying the agencies’ conditions and criteria for receiving political and charitable contributions, gifts, hospitality and related expenses. Another important aspect is to ensure an effective documentation and communication procedures/processes for disclosing gifts received. Annexed to this is the establishment of a secure, confidential and accessible means for internal or external parties to raise concerns about such gifts, and to provide suggestions for improvement of bribery prevention procedures and controls and for requesting advice. For these ‘speak up’ procedures to be effective, there must be adequate protection for those reporting concerns. (UK Ministry of Justice, Guidance to UK Bribery Act 2010). Finally, and most importantly, S. 4 of the PIB requires all agencies and companies established under the Act to be bound by the Nigerian Extractive Industries Transparency Initiative (NEITI) Act. That means that NEITI’s supervisory role provides a robust window for an independent monitoring, identification and reporting of irregularities that may be associated with gifts. The inclusion of gifts as a funding source for the UPI and DPRA (S. 32 (2)(e) and 62 (2) (g) firmly situates gifts within the sphere of NEITI’s watchdog functions. NEITI is equally expected to ensure transparency and accountability in the application of resources from payments received from extractive industries and promotes conformity with the principles of the EITI. PreviousPrevious post:Why Are Public Officials Afraid of the Social Media?NextNext post:FLOOD! FLOOD! FLOODED NIGER DELTA!